Thank you for your overwhelming support for TASTE BY GRACE HOME! Do you have a price list? How do we order ? *Please note that we do not take calls. We only reply to text or viber inquiries from Mondays to Fridays, from 9am to 6pm only. (No weekends please). What is the mode of delivery ? Since everything we make is homemade in small batches and using only the freshest and most premium quality ingredients, we only deliver within certain areas of Makati and BGC and for an additional fee (depends on exact location). However, we do offer free but scheduled pickups in a location in Rockwell, Makati — usually between 10am to 1030am, from Mondays to Fridays. Exact pickup address will be given once order and payment have been confirmed. We do not have weekend pickups or deliveries, unless specified upon confirmation of order. If I cannot make it myself on the pickup date and time, can I use couriers to pick up the item/s for me? Definitely. You may book any of your trusted couriers (Grab, Lalamove etc) to pick up from our pickup point and deliver straight to your address. Pls make the necessary arrangements with them. Once we receive your order and confirm the availability, we will give you the exact amount due. You may deposit or do an online transfer to our BDO bank account, details of which will be given to you through text or viber. Are there any special events and promotions happening soon ? Taste by Grace Home will be in Artefino on August 30-September 2, 2018. This will be in 8 Rockwell, Makati. But before and after that, we are just an email or text away! How do we get invited and updated with all that The Spoiled Mummy and Grace Home are doing? Sign up in our newsletter now and you will never miss a special event or a surprise announcement from us ever again. Just click here. How de we stay connected with The Spoiled Mummy and Grace Home? 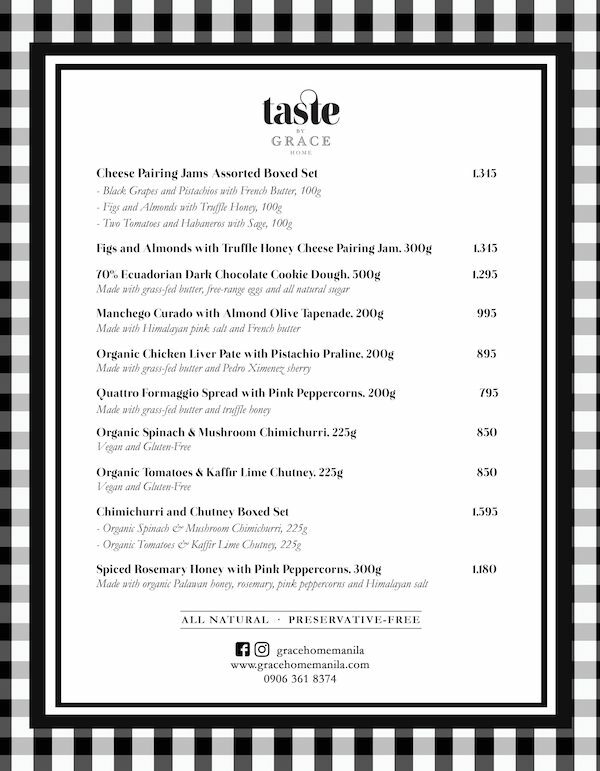 To find out more about how Taste by Grace Home started, click here. To know more about the ingredients of each Taste by Grace Home product, click here. To learn more about the packaging of Taste by Grace Home, click here. To go back and read my previous “teaser post” about Taste by Grace Home, click here. 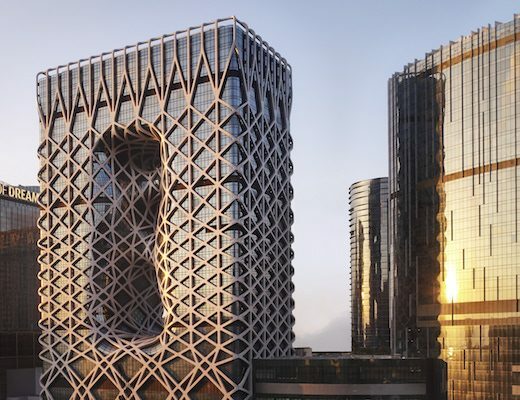 Morpheus, Macau’s Newest Icon, Opens with a Big Bang and In Style! How do I get your products in the united States? And how do I pay and what’s the price in the American dollar currency??? Please message us on Viber 0906-361-8374. Thank you! Hi! Do you have the cheese pairing jam in 300g? can you pls send the individual prices? thanks! Welcome to The Spoiled Mummy! I’m Grace and I am passionate about food, travel, and entertaining. This is where I celebrate, share, and enjoy life’s simple pleasures. Subscribe to The Spoiled Mummy Newsletter for free and fresh updates straight into your inbox! The Spoiled Mummy © 2015. All Rights Reserved. Site Developed by Riz.